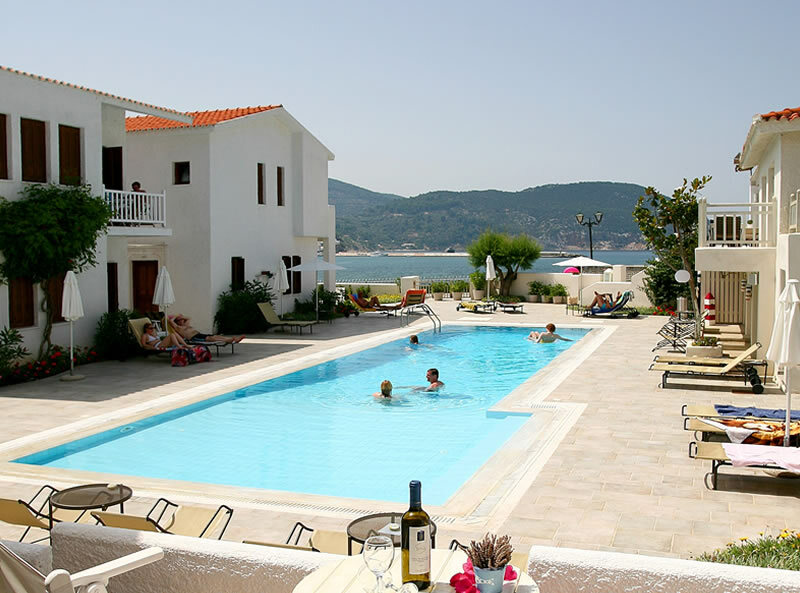 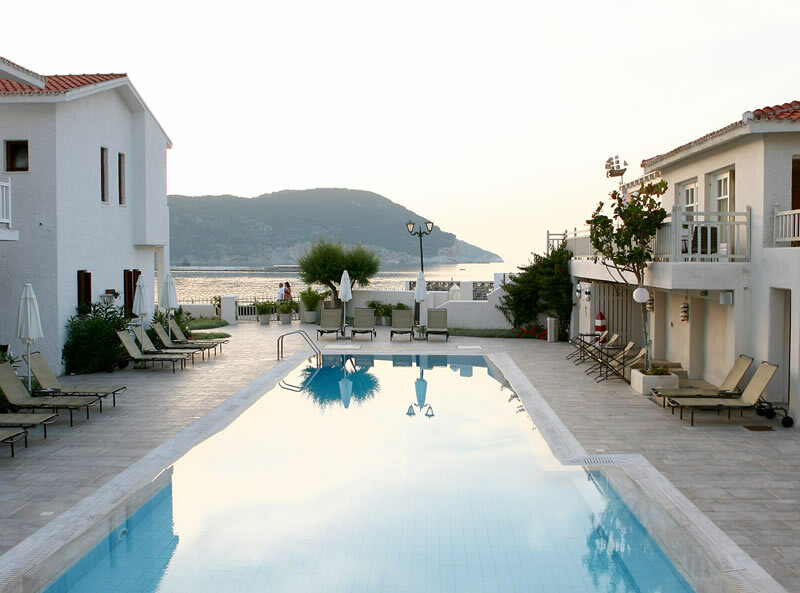 The Skopelos Village hotel complex is located right where the green forests meet the crystal clear blue sea, where the natural beauty of Skopelos is reflected on the water of the Aegean Sea. 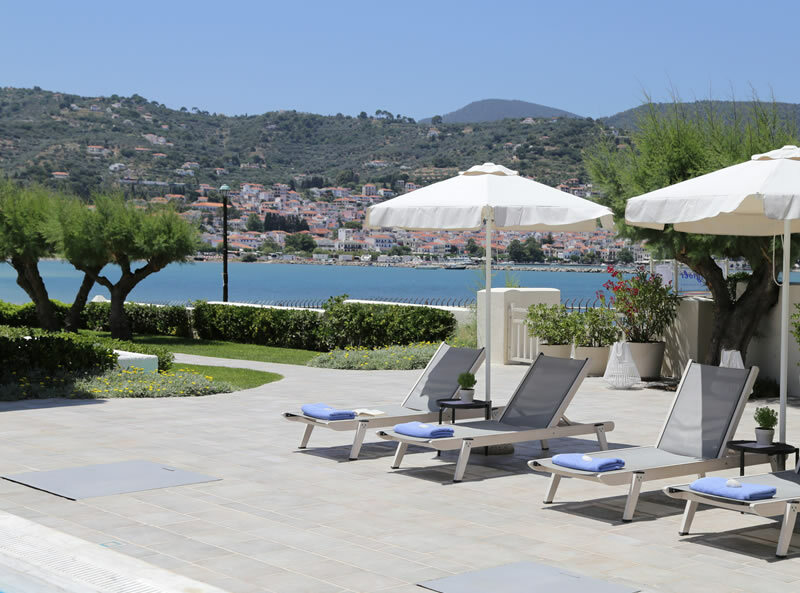 Offering an ideal environment for relaxation and tranquillity just 600 meters from the harbour, with breathtaking views of the sea and the picturesque mainland houses. 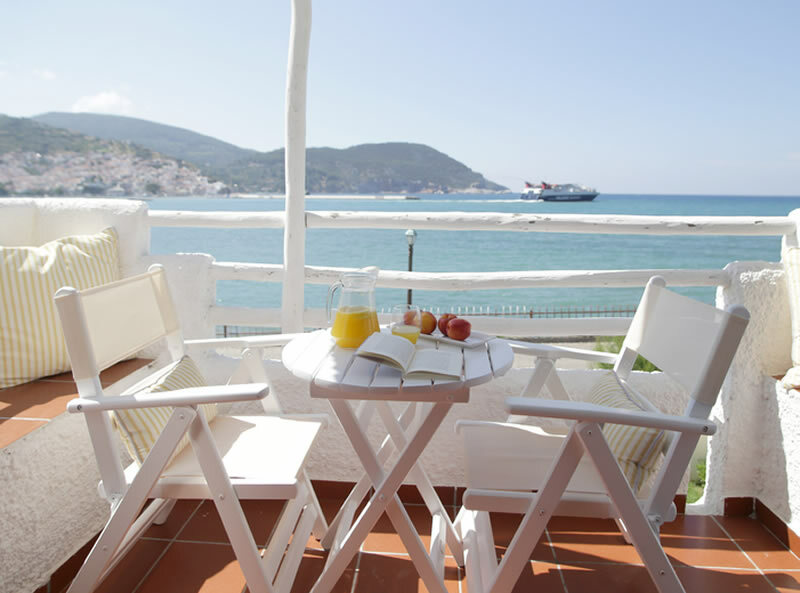 Hotel Skopelos Village invites you to relax and travel through the scents of jasmine, honeysuckle and lavender, which are emitted by the green trees of the island. 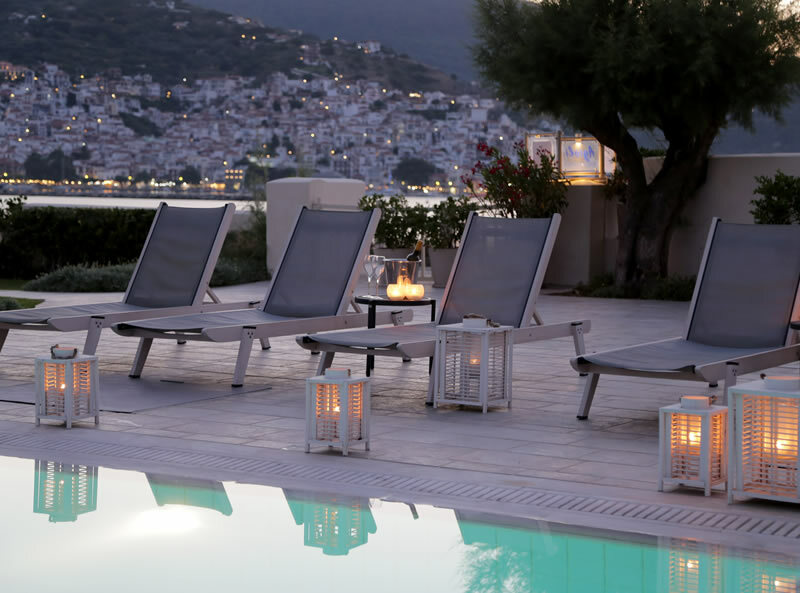 Experience the most relaxing holidays in a unique heaven of hospitality just like the leading stars of the award-winning musical Mamma Mia. 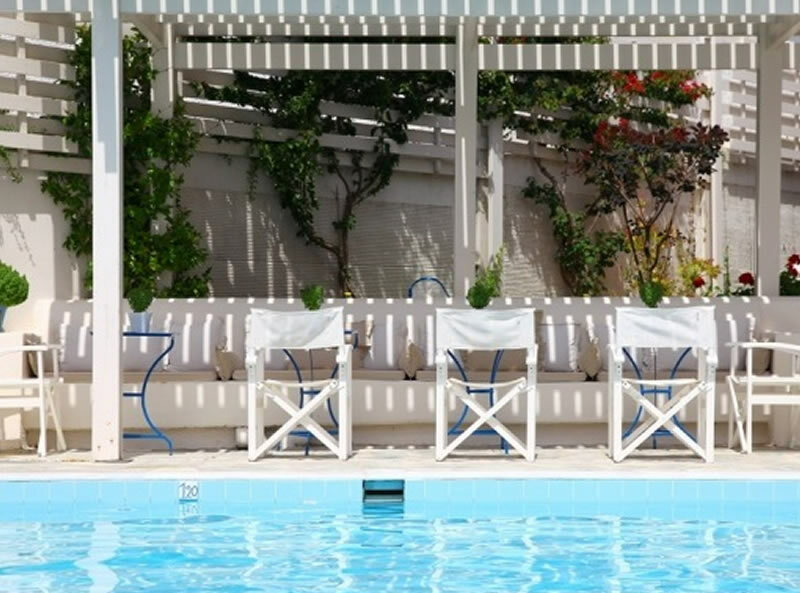 The hotel features 48 rooms and suites all equipped with balcony or terrace, flat screen TV, free WiFi, air conditioning, satellite TV, telephone, hair-dryer, safety box and complimentary toiletries. 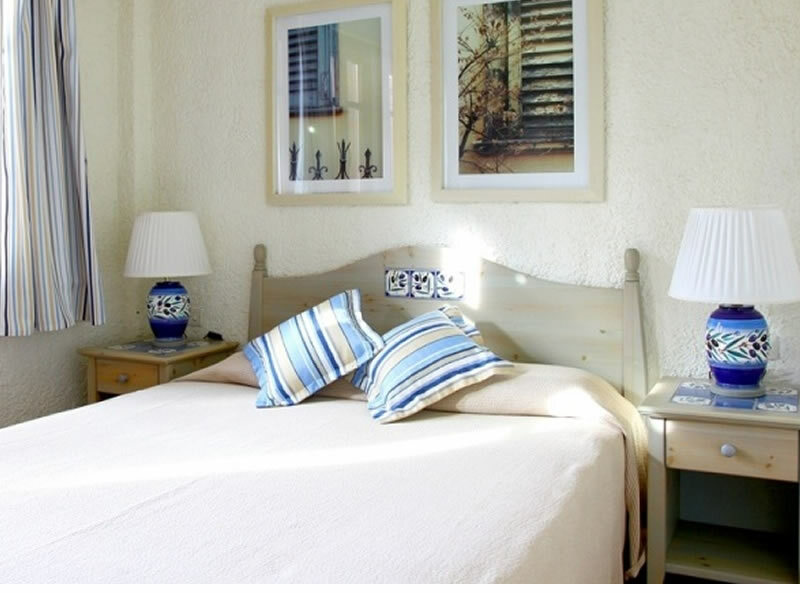 Higher room categories also offer Hi-Fi and DVD player. 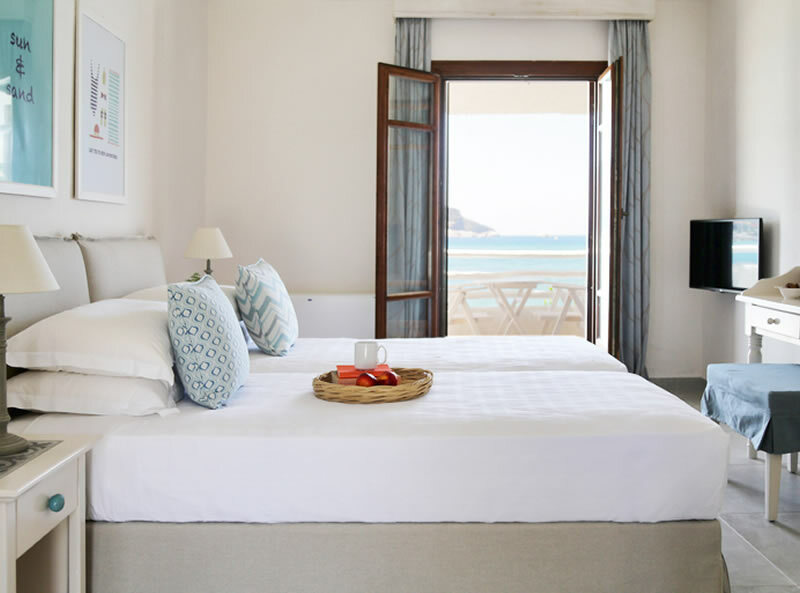 Sea View Studios and Sea View Junior Suites no longer feature open plan kitchenettes, only fridge.